While real flowers can bring life to any room, fake flowers are the perfect alternative to spruce up any home decor or special occasion. The great thing about them is that you can use them again and again. Storing them however, can be a pain if you need them to stay preserved and dust free. Affordable Family Storage has some tips on how to keep your fake flower stems or bouquets looking brand new until your next event. The most difficult part about having fake flowers is that they accumulate dust easily. Sitting in bright sunlight too long can layer on some pretty thick dust. 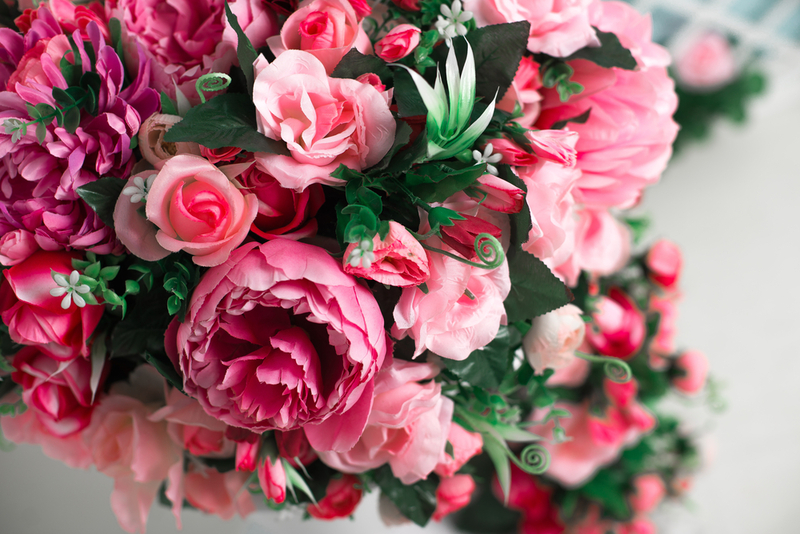 When storing fake flowers, try to cover the petals as much as possible with some sort of plastic bags or tissue paper. This helps keep the dust in the air from accumulating on the petals. It also keeps harsh sunlight off the flowers helping keep the colors intact. While stated before, it’s very important that silk flowers are kept out of harsh sunlight to avoid color fading. Contact with harsh sunlight not only fades the color of the petals, but can also damage the material of the petals making them droop and wrinkle. Keeping the flowers covered with bags and in plastic containers is a great solution to protect them from harsh environments. Make sure to leave a little room in your containers to give the flowers room so they aren’t pressed against the top of the container. The less room they have, the more opportunities they can lose their shape. Just like real flowers, fake flowers can’t be in extreme heat or cold for too long. While they won’t die, they can lose their shape and their petals can be damage. Getting a climate-controlled storage unit can solve this problem. Climate-controlled storage makes sure that your flowers are kept at a controlled temperature no matter where or how they’re stored. Make sure to ask your storage facility what degrees your facility will be set at so you can determine how you want to store your flowers. Looking for storage solutions in the Topeka, Kansas area? Affordable Family Storage has got your needs covered! With 24-hour access, climate-controlled units, high end security and more, you can sleep peacefully knowing that your belongings are safe and sound. Contact us today to learn more.